Mermaid 2 is one of Asia's best known liveaboard boats, running 7 night trips to Komodo and also trips in Raja Ampat at a very reasonable price for such a large and comfortable boat. Everything about the boat is big - cabins, dive deck, relaxation areas - which makes Mermaid 2 a very comfortable boat for diving and relaxing too. Mermaid 2 joined her sister Mermaid 1 in relocating permanently to Indonesia a few years ago. Trips on Mermaid 2 in Indonesia run year round. 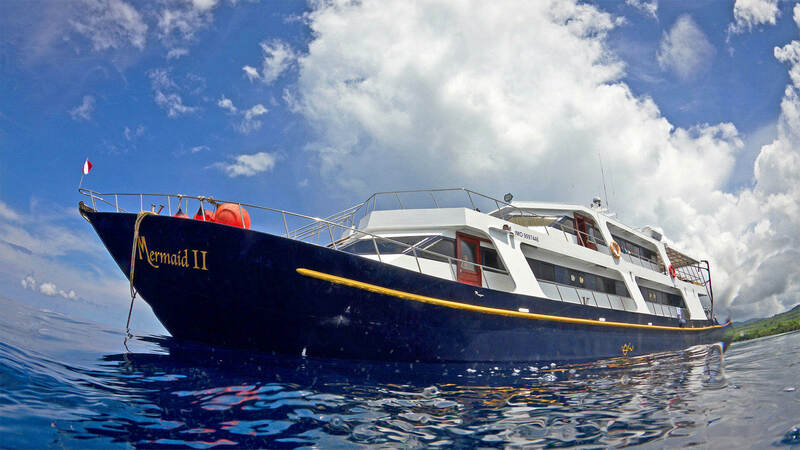 Launched in 2000, Mermaid 2 completed many very successful seasons cruising to the Similan Islands in Thailand. Sunrise manager Jamie used to work on this boat! Prices increase from January 2020. NOTE: Mermaid 2 also runs a few longer trips and crossing trips between Komodo and Raja Ampat. Check the schedule below for a full price list! MV Mermaid II is a 33 metre, twin engine (we mean fast) steel hulled motor vessel. 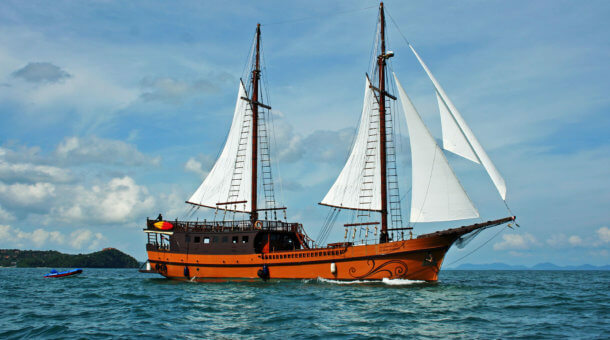 One of the most comfortable dive boats available for Indonesia cruises. She easily accommodates up to 18 divers with accommodation in 8 deluxe cabins and one lower deck budget cabin. All deluxe cabins are on the main deck with large panoramic sea view windows. Each cabin has a double bed and single bunk (max pax 2 per cabin), individually controllable air con and an ensuite bathroom (toilet/shower). 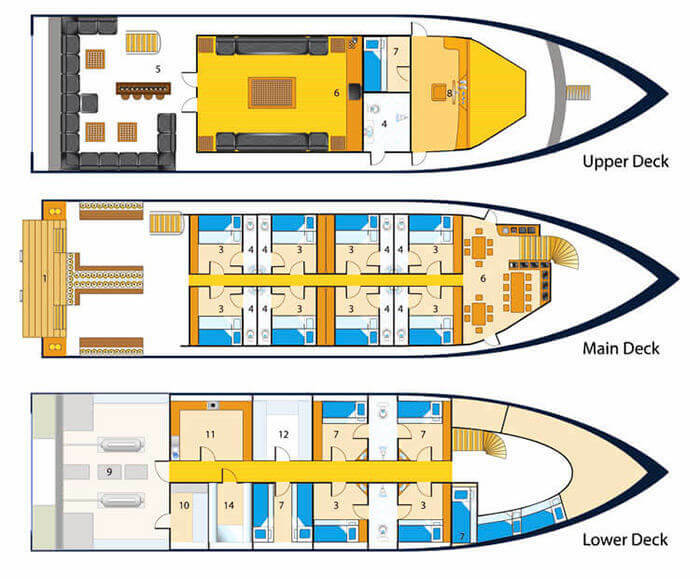 There are 2 budget cabins below deck with twin bunks, air conditioning and bathrooms shared between 2 cabins. Only one of these cabins is used for regular trips, but 2 can be used for group charters giving you a maximum of 20 places. There is also a large indoor saloon, and a separate dining area, both air conditioned. The dive deck and dive platform are extremely spacious, making for easy equipment preparation and entry into the amazing waters of the Komodo National Park or Raja Ampat, the cradle of biodiversity! Rental equipment is provided on board the Mermaid 2 liveaboard. Any rentals you need, please book in advance. Rental rate 18 Euro per day for a set (BCD/regulator/wetsuit/mask/fins) – 5 Euro per day for a dive computer. Dive torches and 15 liter tanks, no extra charge. Nitrox is available on board @ 6 Euro per 12 liter tank fill or 96 Euro for a full 7 night trip or 120 Euro for an 8 night trip. Mermaid 2 runs trips year round in Indonesia, mostly in the Komodo and Raja Ampat area, and there are also special crossing trips between these 2 destinations. We can provide itineraries on request for any trip in the schedule. DEPARTURE DAY Pick up from hotels or airport and check-in between 13:00-16:00 at Benoa Harbour Bali. After the boat and safety briefing, you can set up equipment and settle into your cabin. Dinner will be served approx 19:00 hours awhile cruising ion a journey to Moyo Island. DAY 2 Start with a great dive in the calm, clear waters of Angel Reef at Moyo Island with impressive elephant ear and huge barrel sponges, schools of long fin banner fish and red tooth triggerfish in their hundreds, maybe frogfish, nudibranchs, eels, surgeon fish, snapper and tuna cruising for a snack! Visit a local village then lunchtime! Panjang Reef for a macro dive and cruise to Satonda for a great night dive after watching a million bats fly at sunset! After dinner cruise overnight towards Sangeang Volcano north of Sumbawa Island. DAY 3 2 dives at Sangeang Island where you may find rare nudibranchs, pygmy seahorses and underwater hot springs. 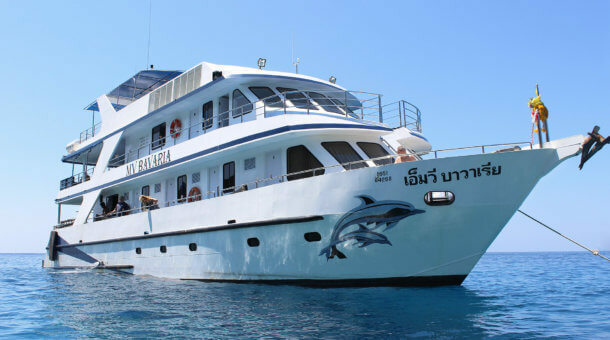 Cruise to Gili Banta for some big fish and amazing corals or dive GPS Point, famous for its sharks and pelagic life. Enter Komodo National Park in the afternoon and there’s a night dive at Gili Darat South Passage – sleeping turtles, reef stone fish, Spanish dancers may be seen. Stay the night here. DAY 4 If the tides and currents allow, look for grey reef shark and dolphin at Gili Lawalaut. Next, a fast drift with pelagics and mantas (we hope) at Lighthouse Reef or the Old Passage. Then Crystal Rock which features amazing soft corals and a good chance of sharks, turtles, giant wrasse, a real fish soup dive with a good chance of eagle rays too. Cruise south and night dive at Pink Beach near the main entrance to Komodo National Park. DAY 5 Starting with a visit to Komodo National Park to walk with the Komodo dragons! Then cruise 2 hours south to Horseshoe Bay at Rinca Island. Dive at the spectacular Cannibal Rock – rare nudibranchs, frogfish, spectacular corals, sponges, black coral bushes, turtles, cuttlefish, loads of reef fish too! Watch for dragons along the beach. Maybe you can see whales and dolphin feeding in the calm bay. This is the overnight spot, with night diving here too. DAY 6 The Three Sisters at Padar Island is a place where you can see anything from sharks to nudibranchs, surgeon fish and devil rays. The famous Manta Alley follows for the chance for a manta aggregation – a big WoW moment! Batu Bolung aka “Current City” is home to Napolean Wrasse, turtles, blue fin trevallies, or maybe a dive at Tatawa Kecil – staff need to check currents first to make sure the dive will be OK! Depart from Komodo National Park, night dive at Gili Banta and cruise back west to Satonda Island. DAY 7 Two fantastic dives at Satonda and Moyo Islands for more chances for ghost pipe fish, ribbon eels, turtle, cuttlefish and more before an overnight cruise back to Benoa Harbour in the south of Bali. Relax as the staff take care of your dive gear. Sunset drink, anyone? Note : This is an approximate itinerary. 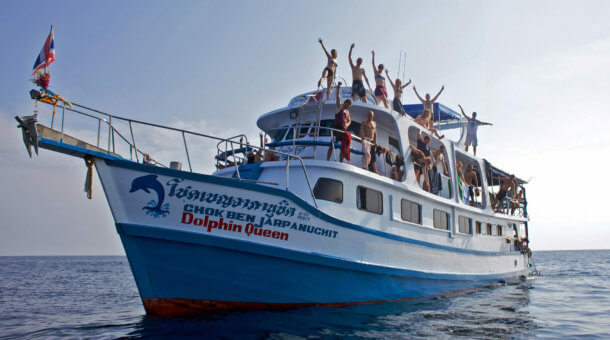 The 7 night trips include about 20 dives. Exact dive sites will vary from day to day.